Online “dating” is a side effect of the Internet age. It is surrounded with negative connotations and murder. Obviously, this does not represent the majority of dating, but it does make it more casual, in my opinion. I used Tinder this past week just to see what the big deal was and see why people use it at all. First and foremost, I had to set up an account. Tinder pulled pictures from my Facebook account, so all that was left to do was make a bio. I decided not to take this too seriously, so I just put a quote from Arrested Development there. After that, all I had to do was start swiping. Again, I was not taking this seriously, but at the same time, I did not want to accidentally swipe right, or “like,” a psychotic girl who would hunt me down and kill me. At this point, I went through a lot of profiles and liked around half, to my best estimate. I just couldn’t shake the feeling that this was wrong somehow, and I felt guilty whenever I swiped left because I was literally judging a book by its cover. Little did I know that was just the beginning. What surprised me was how little time I would spend on each profile. I don’t think I looked at a for more than 20 seconds, and that’s being generous. Occasionally, I would slip up and accidentally like someone I didn’t mean to, and think to myself “oh man, I hope that doesn’t come back to haunt me.” Thankfully, that never happened. But the gamification of online relationships had only begun. It felt so wrong and made me feel awful. A few days later, Tinder let me know that I had some women who were potential matches. I decided to see who they were and, surprise surprise, it was behind a paywall. Obviously, I’m not down to spend $10 a month on what I wasn’t taking seriously, so I decided to see if I could find those matches myself. 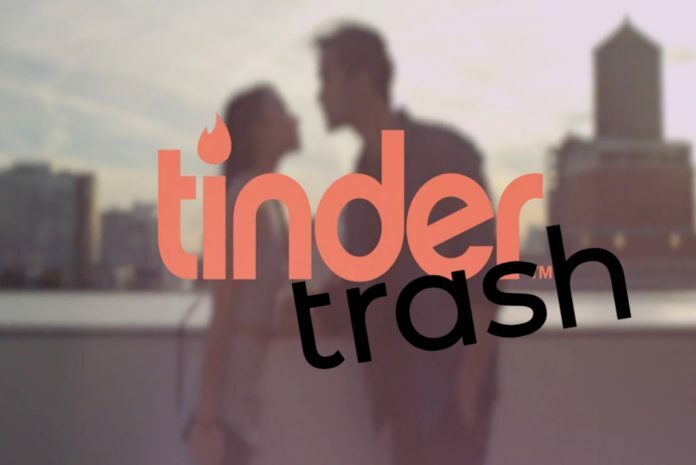 I developed the decision of swiping right on every picture I saw, unless I had some serious doubts. This system worked, because I could then get the maximum amount of likes, while simultaneously allowing me to pick and choose which matches I wanted to keep and which ones I would unmatch. Here I was, lazily rating women on attraction, not looking for a serious relationship, or a relationship at all for that matter, and I discovered what my baseline was for women who I consider attractive, as well as see what type of women matched with me. It was interesting to say the least, but I doubt I will do this again. With the matches I had, I did reach out to each one of them with the same opening line “ya like jazz?” No one got the joke, and most of them actually did not enjoy jazz. Or my sense of “humor” for that matter. I didn’t follow up with anyone, regardless if they replied or not and that made me feel even worse than before. I’m not sure why I was feeling so rotten while doing this, but I think I came to a conclusion: I believe that dating should be taken rather seriously as it is supposed to be the period of time we use to determine if a person is someone you would want to spend the rest of your life with. Tinder does not follow this same ideology and makes it into a sort of game. A social experiment, if you will. All in all, Tinder is useful to see who’s around you and what type of person you are attracted to, and vice-versa. I don’t believe it has the same vision as a more serious dating site like eHarmony or Match.com due to how casual and simple it is. There are some real weirdos out there, and Tinder is a great way to get connected to them.